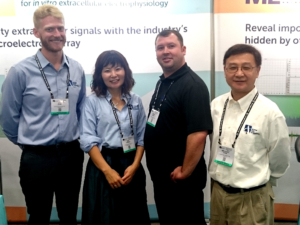 Bringing electronics expertise to electrophysiology! Alpha MED Scientific designs, manufactures, and sells the MED64 Microelectrode array system. The MED64, developed by Panasonic in 1996, was the original commercially available in-vitro microelectrode array. Alpha MED Scientific spun off of Panasonic 2009 and the core members of the Panasonic MED64 development team still remain. 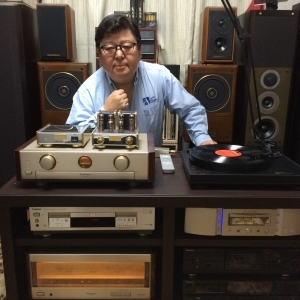 Alpha MED Scientific is currently lead by world renowned engineer Hideyasu Jiko who previously lead the Panasonic/Technics high-end audio team. Our mission is to bring our world leading electronics expertise to the field of electrophysiology. With our state of the art electronics expertise and decades of experiences, we are committed to providing the most sensitive microelectrode array on the market. Our business philosophy is to follow the Japanese culture custom of “consideration and respect to other people.” This philosophy is evident in our product development and technical support. All our products are designed with the end user in mind. We strive to make all of our equipment powerful yet easy to use. We have a strong passions for making our users happy providing quick and excellent technical support.